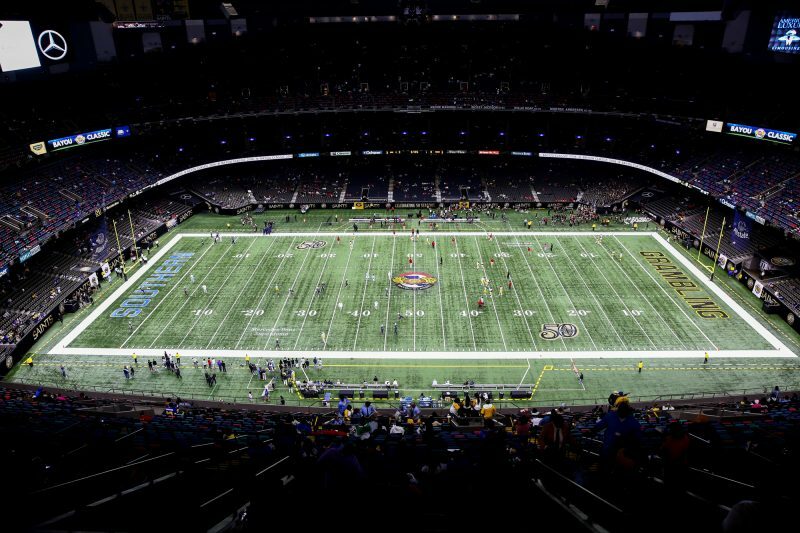 At the Bayou Classic, the annual football game between the Grambling State University Tigers and Southern University Jaguars, the stakes of the competition off the gridiron have the potential to be much higher. On a stage in a cold hotel room – a far cry from the over 67,000 people who crowded the Superdome to watch the clash between football rivals and hear their mighty marching bands – technology teams representing each of the six historically black colleges and universities in Louisiana competed for $20,000 worth of prize money to show who could create the best “piece of technology that assists in the economic recovery of small businesses affected by natural disaster.” Approximately 30 people watched these techie squads of primarily African-American students trying to impress four nonathletic judges (including me) with ideas like a post-disaster online marketplace for the BizTech Challenge. We talk about the lack of diversity in technology and dearth of economic opportunities for black and Hispanic young people as a problem now. But in the future, it will be major economic crisis, once people of color become the majority of our workforce. If our K-12 and postsecondary institutions haven’t prepared this current generation of young students of color to compete for tech and engineering jobs, the whole nation will suffer. To make sure that doesn’t happen, the country needs to do more to support competitions like BizTech and the institutions that make them possible: HBCUs make up just 3 percent of colleges and universities but produce 27 percent of African-American students with bachelor’s degrees in science, technology, engineering and math, according to federal statistics. Entrepreneurial skills are needed in these lucrative tech fields. The white seasonally adjusted unemployment rate in October of this year was 4.3 percent. The black rate is exactly double at 8.6 percent. In addition to money, black people need the human capital that comes along with the college degree. Thirty-six percent of working age non-Hispanic whites have a college degree compared to 23 percent of black, 54 percent of Asians and 16 percent of Hispanics. Attendee Rodney Sampson, Partner, TechSquare Labs watched carefully. TechSquare Labs is a technology incubator, corporate innovation lab and venture fund headquartered in Atlanta, Georgia. Its diversity and inclusion initiatives include CodeStart, TechHire and a $100 million Tech Opportunity Fund. Sampson presence at the BizTech challenge was notable. According to a Brookings Institution report, African-Americans make up less than a percent of senior decision makers in venture capital. The winning team from Grambling State University was the one that pitched Relief Front, the online marketplace that sells products of other stores that are negatively impacted by natural disasters, which earned them $10,000 in capital and $5,000 in free legal services. Second and third place teams were from Xavier University and Southern University New Orleans for their respective Preventing Disaster Assistant, a disaster preparedness app, and Panic Wave, a data management tool. It’s far more rare and extraordinary to watch black people control, create and sell technology. HBCUs are well equipped to develop more critical technologists who can incite social change through entrepreneurship. HBCUs have always provided students with the critical thinking skills to navigate a democracy that often puts up obstacles to their success. But the start-up tech world is extremely culturally exclusive. One doesn’t get gain access to fellowships and incubators or get to pitch in competitions without an invitation. The BizTech Challenge acculturates black students to the new ways entrepreneurs are getting access to capital and other resources. Job interviews have been traded for pitch competitions. The yearly pilgrimage to “the Dome” for the Bayou Classic highlights the profundity and uniqueness of HBCU culture. The Battle of the Bands, football game, vendors and surrounding activities make up a black world unto itself. Football games offer a great stage. But it’s far more rare and extraordinary to watch black people control, create and sell technology. Going back to the invention of the cotton gin, black folk have been used by technology, they haven’t controlled it or even benefitted much from advancements. Technological developments in the auto industry decimated black employment in the Midwest. Black prisoners were treated as guinea pigs in the Tuskegee Syphilis Experiment. 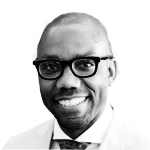 Black folk are the number one consumers of Twitter; but what does the leadership look like? African-Americans comprise less than two percent of senior executive positions in high tech companies compared to 83 percent of whites. The competitors of the BizTech Challenge are going beyond changing the mostly adversarial relationship blacks have had with innovation. 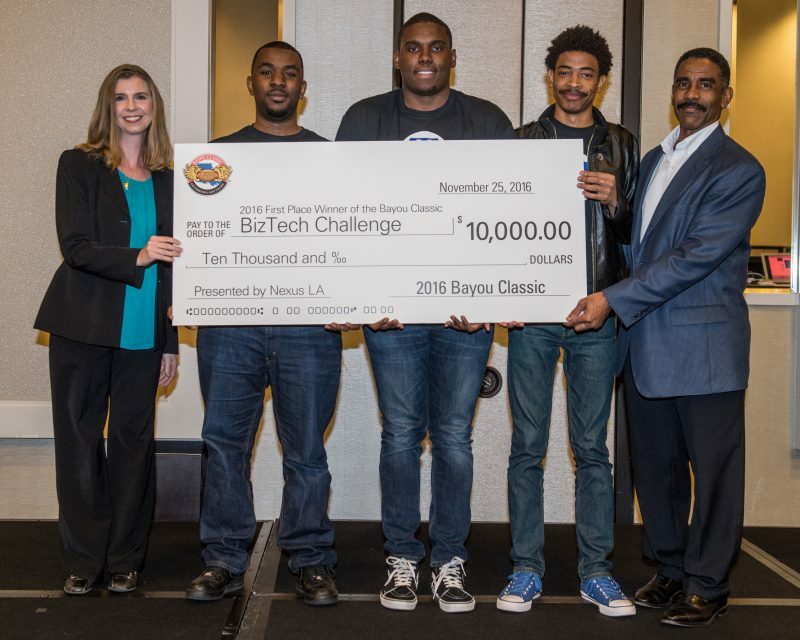 The students in the BizTech may change what kind of teams black communities come out to root for. 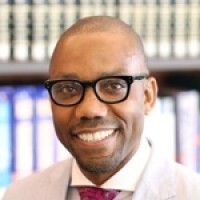 “Companies that are disrupting societal norms via the sharing economy, social media, and the internet of things must do better to address the less than remarkable representation of people of color as creators, influencers, and decision makers,” wrote Nicol Turner-Lee of the Brookings Institution. In time, maybe thousands will pay to see tech competitors in action inside a Superdome that one of the BizTech students own.